The carrier features a sphere-like, transparent window that you can switch out with other included covers to provide more visibility and ventilation for your pet without sacrificing their safety. The 3-hole cover allows your pet to see outdoors and get more fresh air while protecting them from being touched or scared in crowded places. Pet Carrier. Wipe Clean Plastic. See Photo's the carrier will need simple assembling. Kit contains our Exclusive Fasten Tight Kennel Hardware. 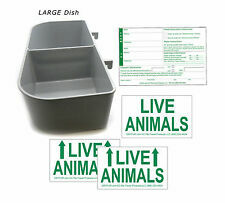 SMALL Deluxe Pet Airline Kit includes Pet Airline Kit SMALL. 1 PET Airline Check-List & do it yourself instructions. _gsrx_vers_841 (GS 7.0.16 (841)). I respond promptly. Hounds-tooth Print Tote Pet Dog Cat Carrier/Shoulder Purse. With Matching Treats Purse Travel Airline Bag. Inside clip to secure pet and removable and washable floor pad. Shoulder strap and dual handles for convenient travel. Small portable size carrier kennel for cats & small dogs; Perfect for travel in the car and on a plane. (1) Pet Travel Bag by Petrum, Coffee Brown, New In Box. Approved size for most airports and airlines, under the seat. Fashion Hounds-tooth Prints Carrier/Tote For Dog or Cat. Designer Pet Carrier/Tote. This is a great pet carrier! High Quality Airline Approved Removable Wheeled Pet Carrier for Cat an Dogs. The wheels makes it convenient for travelers to walk through airports with long walks. It allows your pet to see its surroundings, while allowing you to keep any eye on them as well. The Savina Front Carrier is one of the most versatile ways to transport your pet in comfort and with the greatest of ease of short distances. 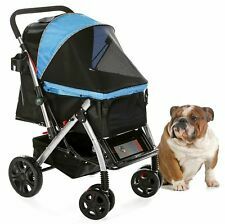 The carrier can be opened at the front or side for easy accessibility, and has a short lead to prevent your pet from jumping out making the carrier safe and secure. One For Pets The Indoor/Outdoor Cat Enclosure - Blue - 18" x 18" x 48"
Whether a puppy, kitty, rabbit or even a duck…finally all of your animals can travel in style with our fabulous carriers. Shown here in Black Matte and Red Leopard, they have a zipper top closure, two side windows with roll-up windows and a front pocket to stash other goodies.